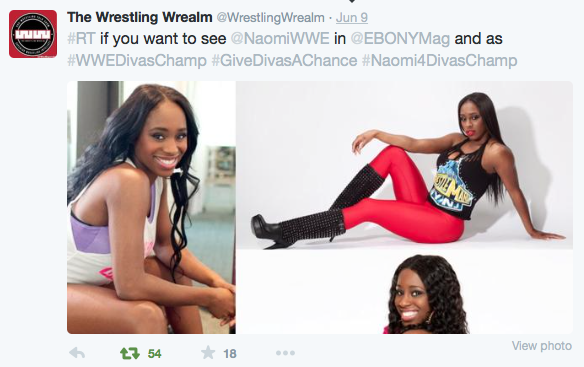 Unless you do not tweet during WWE Programming, you will notice that Naomi has a huge following throughout social media. During her Divas Championship matches the past few months, her fans have expressed their feelings through twitter. When Daniel Bryan did not enter the 2014 Royal Rumble, his fans, myself included, blew up the internet. When he was eliminated early in the 2015 Royal Rumble, it was even worse. Naomi has developed a similar following. 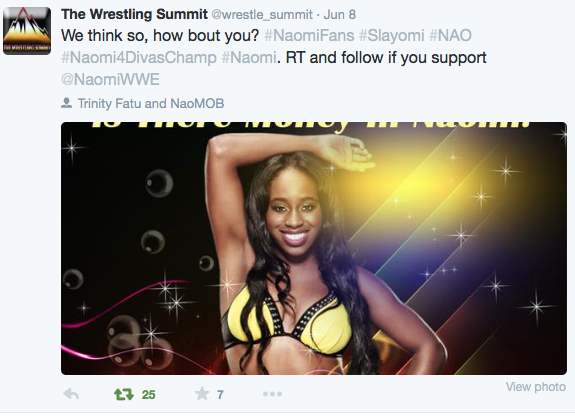 Before the #NaoMob came into effect, Naomi had a strong following, and they would even create their own hashtags, such as #Slayomi. There have even been some fans who created Twitter accounts dedicated to her. 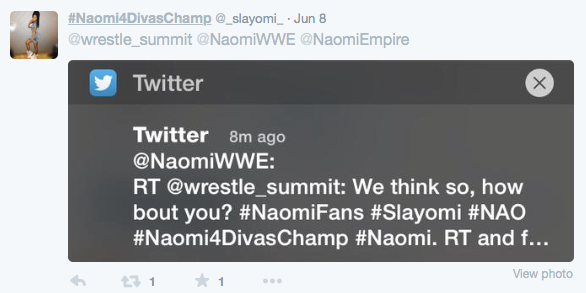 Below are just some of the strong support that Naomi has over the past couple of months. Considering how the YES! Chants took off and became the Yes Movement, and how that lead to Daniel Bryan getting a handful of new merchandise; it should only be a manner of time that we see a new T-Shirt. 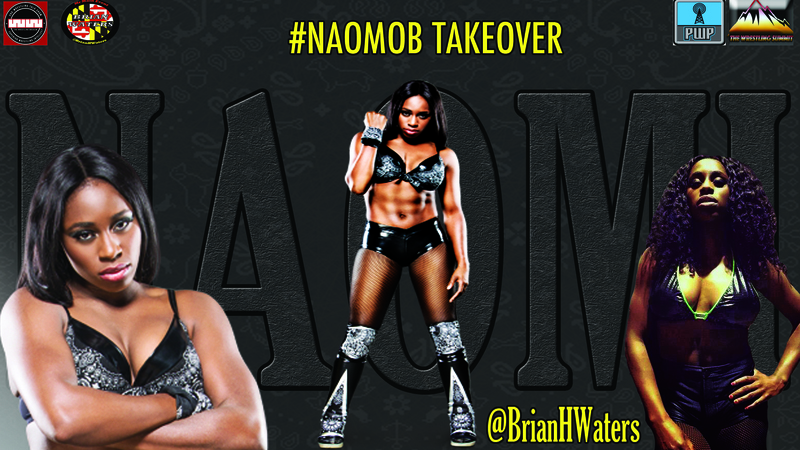 One thing I will challenge Naomi’s fans to do is make their voices heard in the arena. We love Naomi, but when we are at the shows, we have to make it known.